Made by: Voyageur Media Group, Inc. 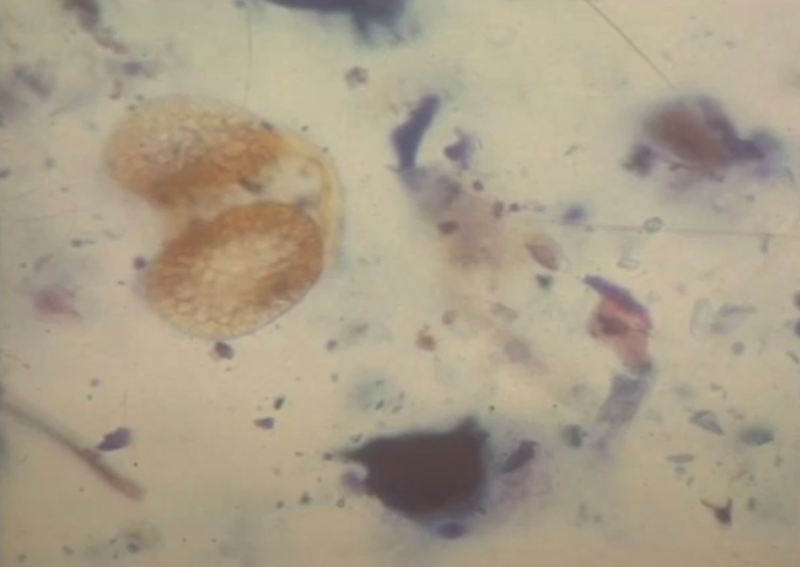 Authors: See the entry for the Adena film. Another movie from the Kentucky Heritage Council. Let’s learn about Kentucky, folks! 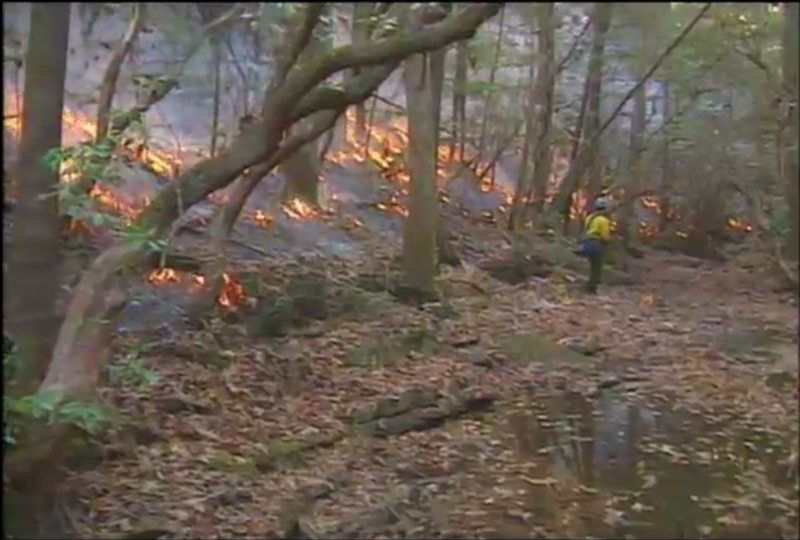 The USDA Forest Service starts forest fires with drip torches. This is already the most exciting archaeology film I’ve ever seen. I’ve always found the idea of forest management kinda strange. I realize that many (if not most) of the landscapes that we see in North America were managed by Native Americans before our Park Rangers got at them, but the idea of encouraging or discouraging forests to turn out a certain way is still an odd concept. I guess I still have an unhealthy nature/culture divide in my head. Anyway. It’s almost two minutes in before the video mentions the Native Americans. They were building to it. 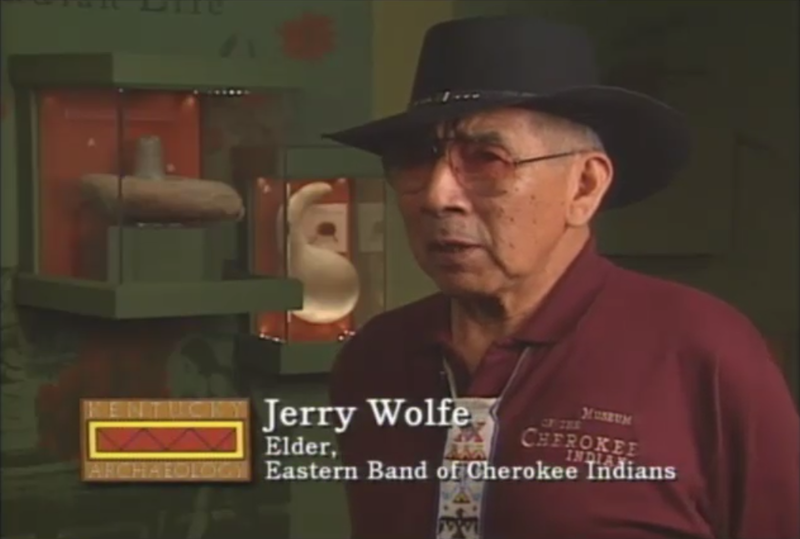 Elder Jerry Wolfe comes on to set the record straight. Every Fall they’d burn the forests so that they don’t get an ocean of fire. Which would be inconvenient. 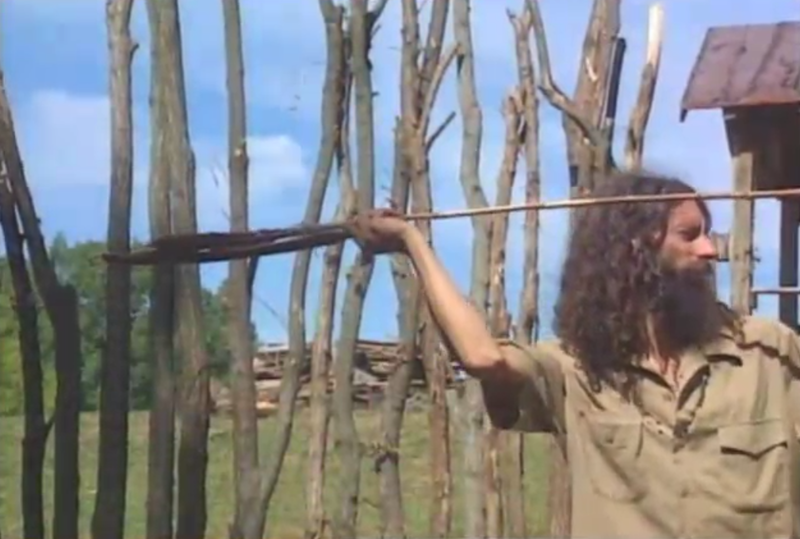 We segue into Indians-as-Forest-Rangers, complete with chanting. Pesky scientists didn’t know what to do until they actually asked the folks who had been living there a while. 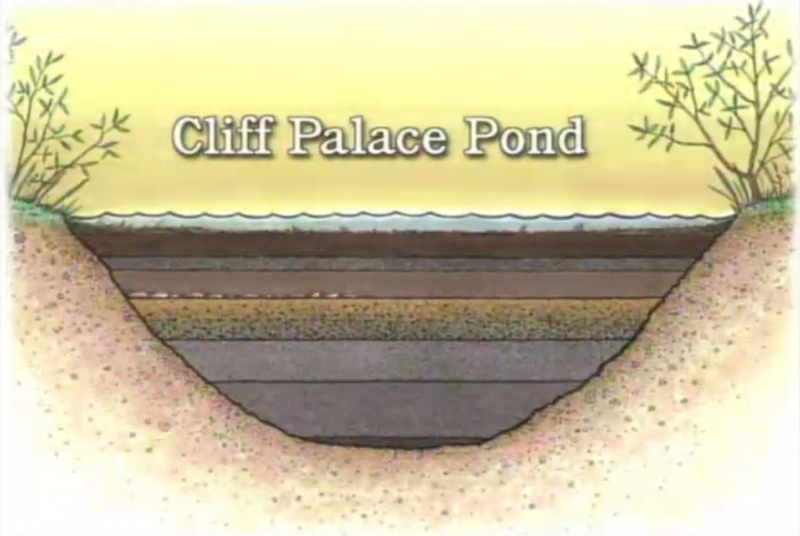 I love archaeological illustrations, and this video has several. 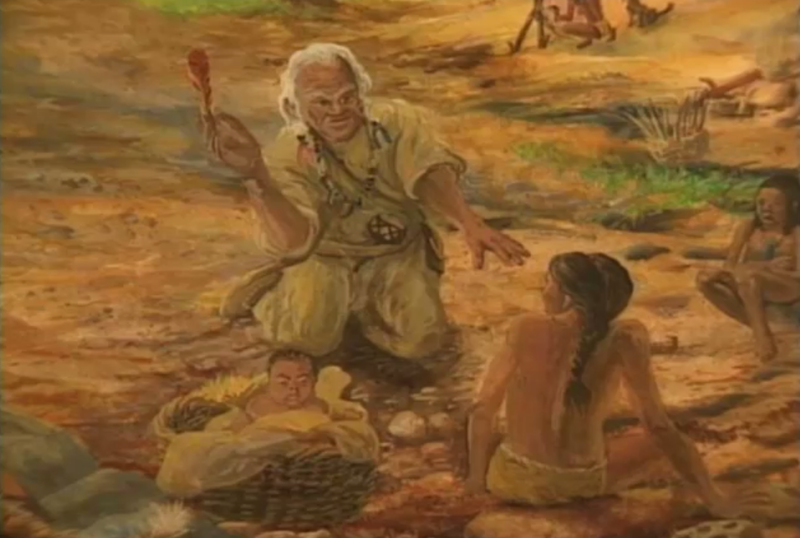 Just LOOK at that grandpa from ancient history threatening the child with the feather. 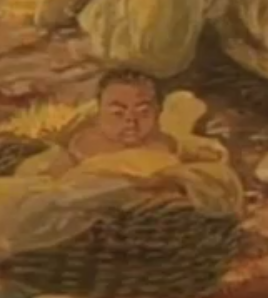 …aaaaand one slightly sinister baby in a basket. But wait, what is that I see?? 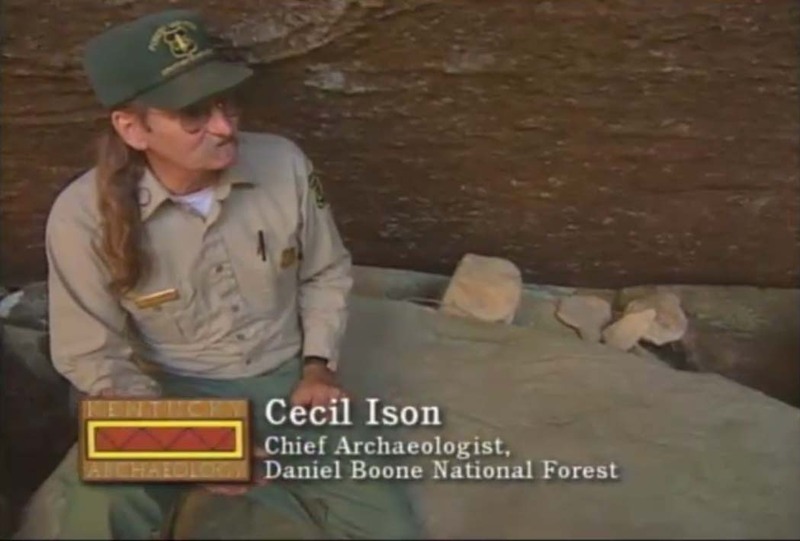 Archaeologist Cecil Ison guiding a group of folks to a cave dwelling! 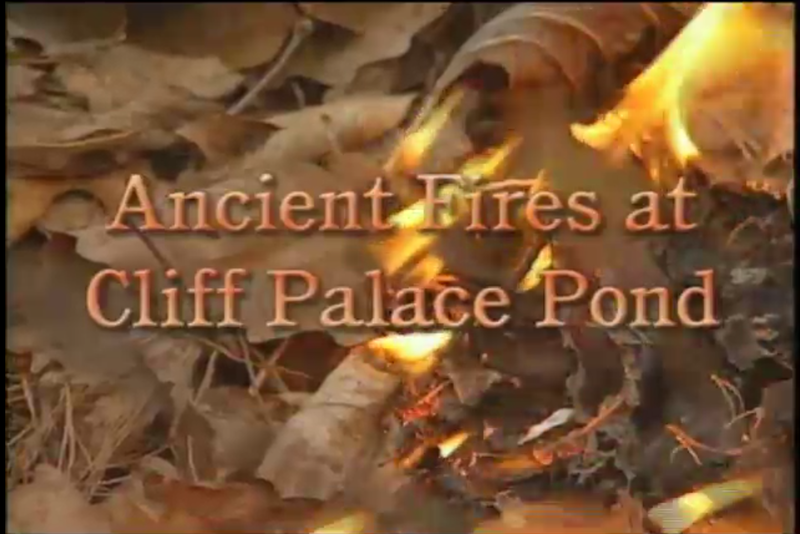 It’s Cliff Palace, and we are set for some learnin’ from a dude with a fantastic handlebar moustache. Nice video effects illustrating the rock art after Cecil traces it for us. We also learn that there is a fetid pond up near the rock shelter and that there are extensive archaeological remains around said pond. Why does this matter? Because we can core the pond! ….but I’m not sure I buy it. 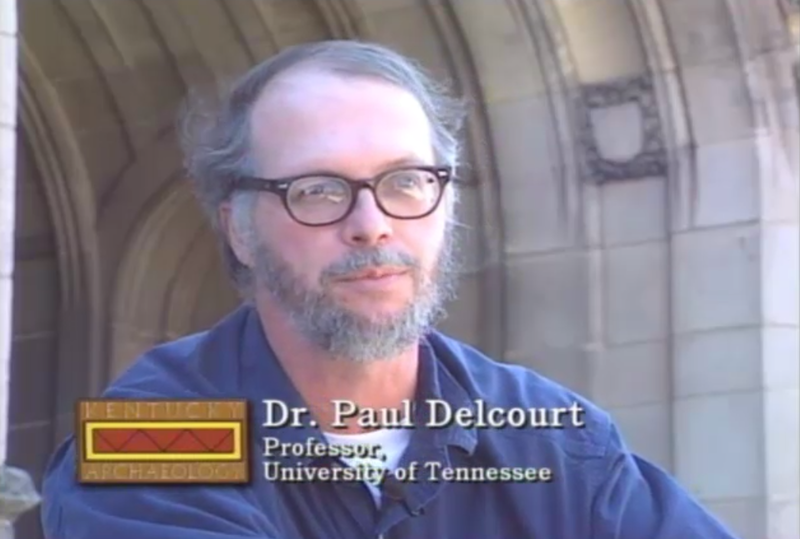 Dr. Paul Delcourt seems down though. Do you like how they framed him with the hallowed halls of academia? He MUST be an expert. Bonus: he has a beard. Anyway, he checks our core samples to see if there is any ash present. Check out the slight azimuth change between Paul Delcourt and Cecil Ison. We’re looking up at Delcourt and down at Ison. Film and photography semioticians would note this as a power differential. Something to think about while you are filming. Anyway, back to the video. Cliff Palace Pond is like a time capsule, we are told. I believe them because this is a good drawing. We are told that Native Americans ate stuff and hunted stuff. Rockin’. From the dirt core we learn that about 1,000 years ago, Native Americans began farming the land and shaped the forest into what we think of as the “natural” Kentucky landscape, with nuts and berries. Overall, this would be a good movie to for teachers to show when you are learning about paleoethnobotany or paleo landscapes and landscape management. Or if you feel like you need to know more about changes through time for Native Americans in Kentucky. This is a hilarious and 100% accurate post. Archaeological Drawings = Best! Thanks for your comment! Hi-five for crazy archaeology illustrations.